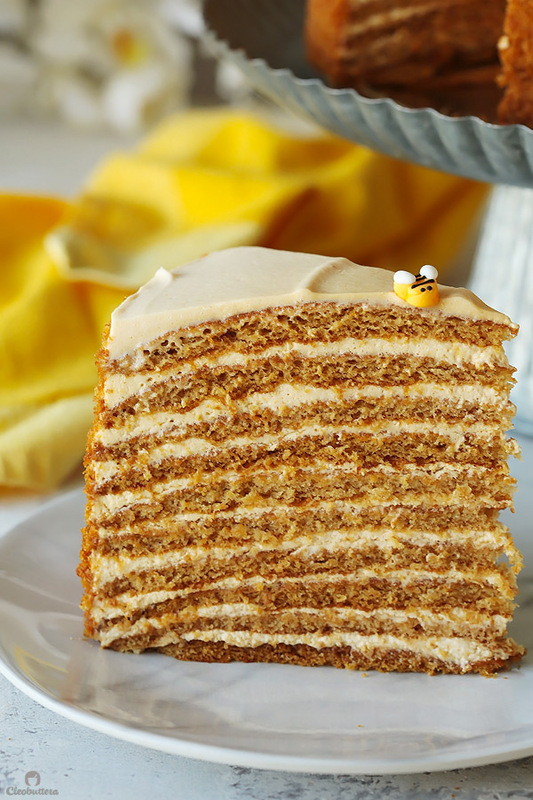 The ultimate recipe for Russia’s famous Honey Cake, that you’re likely to encounter. Ten layers of soft, caramelized honey cakes that taste like the fine marriage of Lotus biscuits, honey graham crackers and gingerbread cookies, sandwiched between a cloud-like burnt honey and dulce de leche whipped cream. Unbelievably delicious! Let’s just start off by saying that I don’t normally throw around words like “The Best,” “Best Ever” or “The Most Amazing” at any of my recipe titles that easily. Not because I don’t think they are…because I certainly do, otherwise you wouldn’t see them here…but because the definition of what makes something “the best” is very subjective. With that said, I couldn’t hold it back with this one. 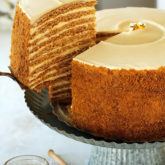 Because I truly, positively, deeply, sincerely believe that this is THE MOST AMAZING Russian Honey Cake to ever exist. And yes I haven’t tried all the Honey Cakes in the world; in fact I’ve only had 4 in my life, 3 of them were made by me…lol! It’s just that it’s so incredibly good, that it’s hard to imagine how anything could ever top it. 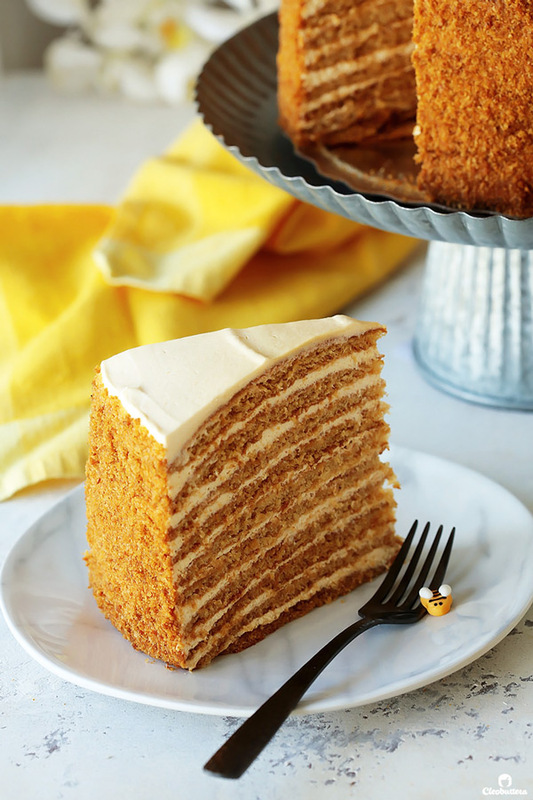 This masterpiece of a recipe comes from Michelle Polzine, owner and pastry chef of San Francisco’s 20th Century Cafe, where this towering delicacy is the main attraction and the pièce de résistance. 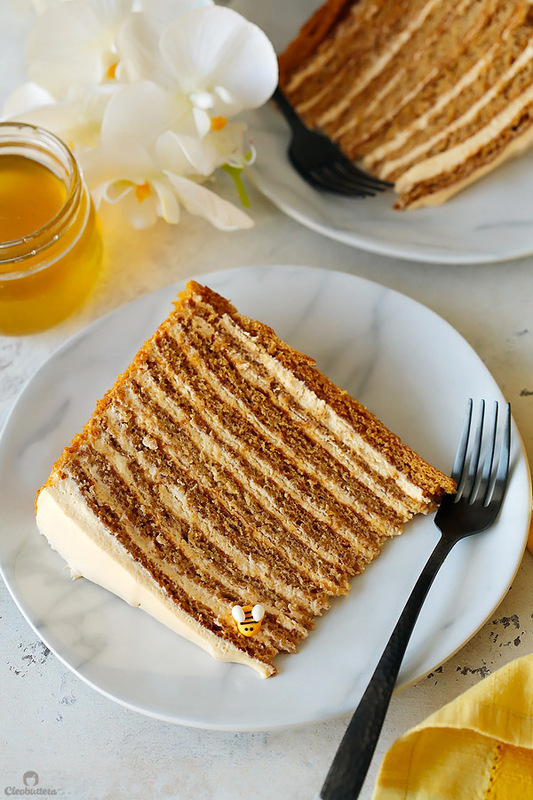 Her highly acclaimed Russian Honey Cake has captivated flocks of food writers, pastry chefs and tourists from around the world, who were infatuated by its amazingness. So I guess I’m not alone on this one. But hey…you be the judge! 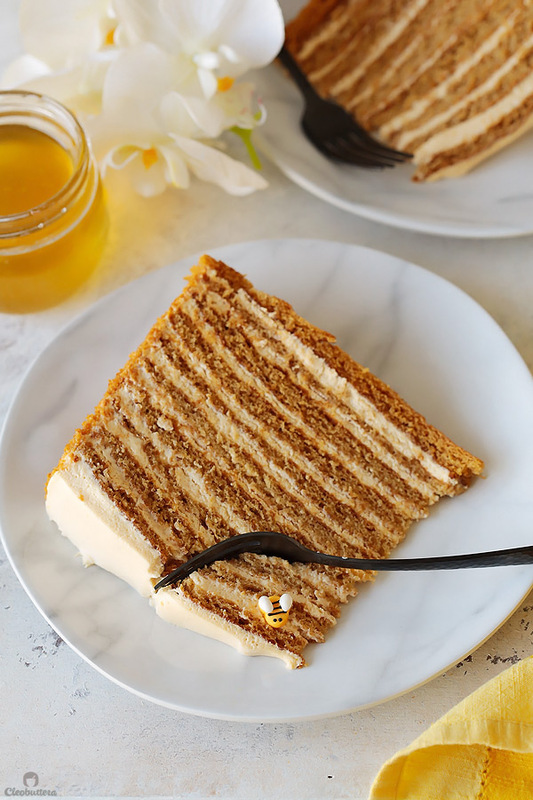 I first heard about the charm of Russian Honey Cake (Medovik Torte), which is also popular in other parts of Eastern Europe, a little over a year ago, and the idea had me instantly struck with obsession. 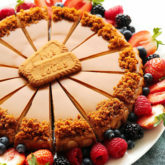 The thought of a soft, multilayer cake that tastes like a cross between honey graham crackers, stroopwafels, and speculoos with a filling of ethereal, creamy frosting, tickled my inner foodie and painted my daydreams. 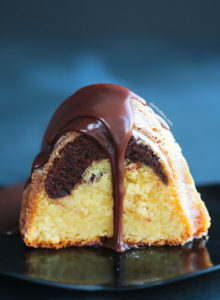 So as any cake enthusiast would do, I scoured the internet, looking for recipes that would replicate the taste I had envisioned. Most of them seemed to revolve around the concept of making the cake layers from a roll-out, honey flavored, soft cookie dough, and filled with a lightly sweetened sour cream frosting. Some variations called for pourable cake batters to make the layers, and a few had a dulce de leche based frosting. I tried 3 different recipe variations, and while all pretty tasty, they fell short of my expectations. I’m mostly to blame, as I’m annoyingly picky. I later tried a slice at a restaurant in Cairo, and everyone who had tasted it was very underwhelmed by it. That’s when I came to the conclusion, that perhaps Russian Honey Cake wasn’t for me. 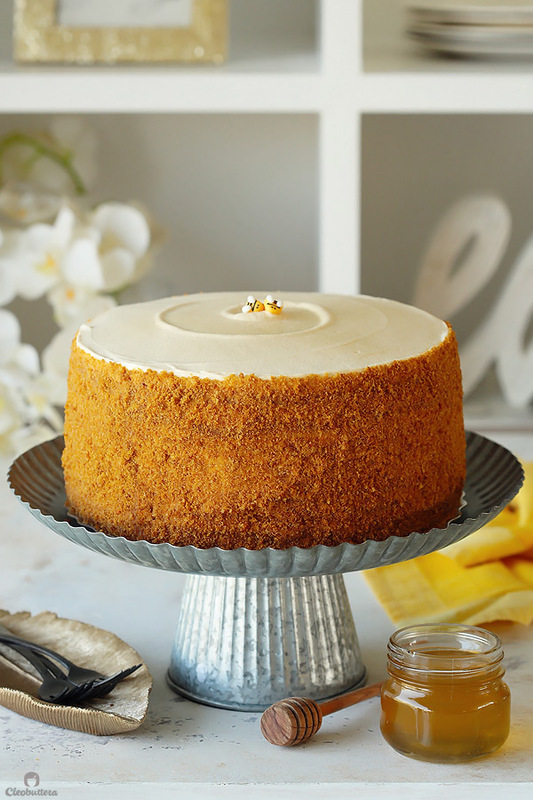 That is until a few months later, when I received my subscribed newsletter from Treat SF’s blog in my email, with a post that happened to be titled ‘Russian Honey Cake.’ It felt like telepathy. Not wanting to toss the idea of the raved-about cake altogether, because let’s be real…it does sound very promising, I read through the post. 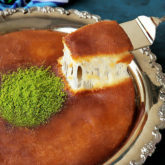 She mentioned how the cake is the “signature dessert” of 20th Century Cafe and waxed poetic about how dreamy it tasted. Further research also revealed that it took Polzine years of obsessive testing before nailing it, and that’s when I knew, that this could be the one I’m searching for. And so I’m here today, to happily report back that it truly is. THE ONE! An absolute perfection. 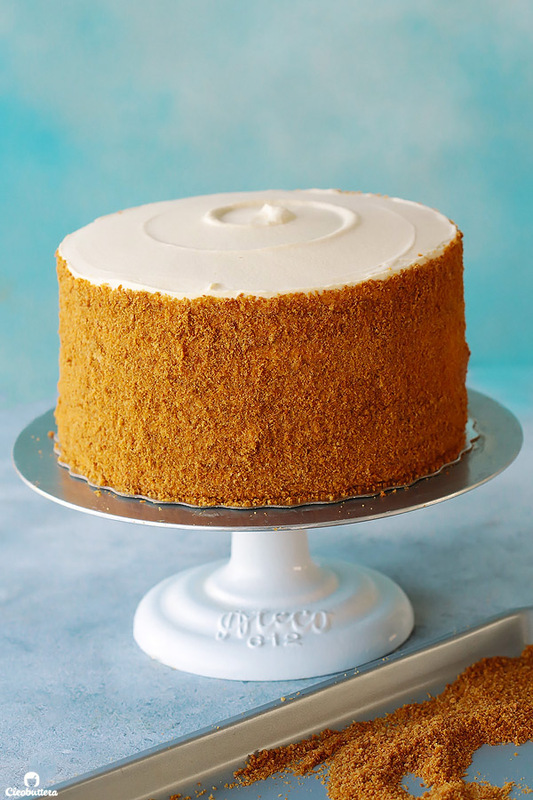 Ten thin layers of soft, airy cakes that taste like the fine marriage of Lotus biscuits, honey graham crackers and gingerbread cookies, sandwiched between a cloud-like burnt honey and dulce de leche whipped cream. Though seemingly rich, it’s surprisingly light, with pleasant notes of slight saltiness, bitterness, and tanginess that perfectly balances out the caramel-y sweetness. 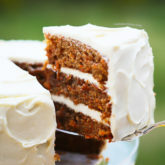 After finishing the cake, it’s left to chill in the fridge overnight, which allows the flavors to intertwine and the layers to soak in some of the frosting, which softens them up into melt-in-the-mouth bites. It’s a thing of dreams I tell you. 1) “Adding more butter to the batter, transforming the cookie-crisp layers into thin, spongy cakes.” -NY Times. 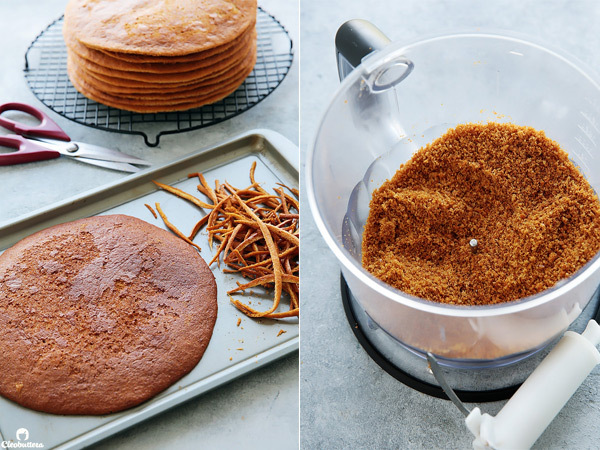 That makes for a softer, lighter cake that slices like butter. 2) Burning the honey used in both the cake and frosting, to the point of caramelization! 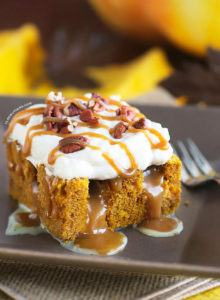 This trick not only adds a more concentrated and pronounced honey flavor, but introduces toffee notes, bitterness and acidity, that was otherwise brought through the use of sour cream. 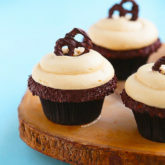 This burnt sugar revelation, combined with glorious dulce de leche (thick caramel made from sweetened condensed milk), made for an incredible sweet and tangy whipped frosting, that eliminated that need for sour cream. Now I’m not gonna lie…this cake is a project. It’s not hard and the process is pretty straightforward, but it is time-consuming and requires a lot of hands on work. The first time I made it, it took me 3 hours straight, with only 30 minutes of down time. That is of course excluding the mandatory overnight chill in the fridge, before you can dig in. But trust me…the fruit of your labor, will be well worth the effort. It truly is a stunning, showstopping dessert, that is sure to create a buzzzzzzzz in any special occasion. The second time I made this, which was for the pictures you see here, I divided the work over the course of 3 days and the results were every bit as delicious. I knew I wasn’t going to be able to both make and photograph every step, as well as , the beauty shots, all in one day, especially that I only shoot in natural daylight. So I took a stress-free approach, and made the cake layers in 1 day, and froze them. Then made the frosting and finished the cake on a second day, left it to marinate in the fridge for 2 days, then took the final shots on a 3rd day. I’m telling you this, just to assure you, that you can relax the process by making some of the components ahead of time, without sacrificing the outcome. So! Are you ready to do this?! I most certainly am! You first begin by “burning” the honey. And by burning, we mean more like “caramelizing,” so don’t worry, the honey won’t taste like ashes, and yet a beautifully caramelized honey. Speaking of honey, Polzine uses wildflower honey, which is supposed to taste more floral, but I wasn’t able to find it, so I used regular ol’ mainstream honey instead. So if you can find wildflower honey…go nuts! But if you can’t, don’t fret, honey from that commercial squeeze-bottle will still work! You’ll want to cook the honey until it transforms from pale yellow, to deep amber. As soon as it reaches this point, remove the pan from the heat and whisk in 1/4 cup of water. So that’s your Burnt Honey all done. 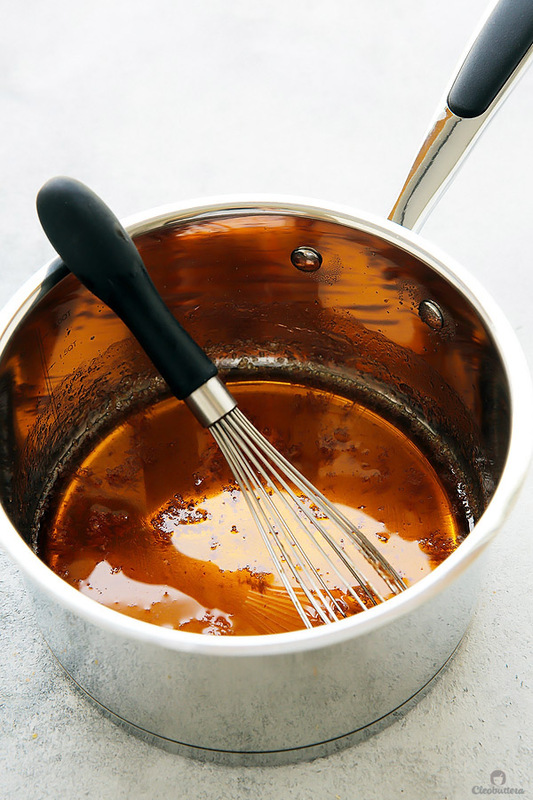 Now you’re going to take 1/4 cup of that glorious burnt honey and combine it with regular “unburnt” honey, sugar and butter and set over a pan of simmering water. Stir until the butter has completely melted. The mixture should feel pleasantly warm at this stage, in which you’re going to whisk in the eggs. 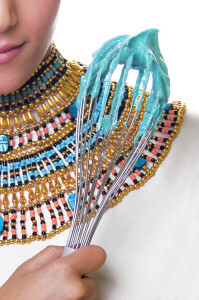 Continue whisking until the mixture becomes warm to the touch again. At that point, stir in a mixture of cinnamon, baking soda and salt. You’ll notice that the mixture will smell weird. That’s ok…you’re on the right track. Now you can sift the flour over the batter in 3 parts, whisking well to combine after each addition. Batter should be very smooth. Now if you have several silicon mats, I’d recommend using those over parchment paper, for 2 reasons. First, less waste of paper, and second, they release from the cake layers so much easier than parchment. But if all you have is parchment, then you’ll go ahead and trace 9-inch circles on 11 sheets of parchment and spread the cake batter on each sheet (tracing side down). If you have silicon mats, you’ll just need to trace the 9-inch circle over only 1 sheet of paper. You’ll then place this paper underneath your silicon mat and get to work. In both cases, you’ll spoon a heaping 1/3 cup of batter in the center of the circle, the spread it to the edges of the traced circle. 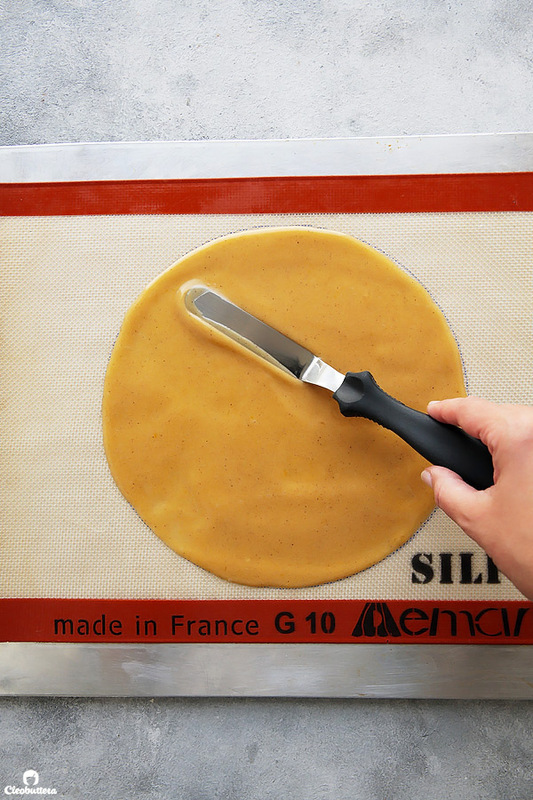 Make sure to slide the piece of paper from under the silicon mat, if using one, before baking. These guys bake very quickly, so stick around. They’ll bake in only 6 to 7 minutes, or until they turn deep caramel colored. 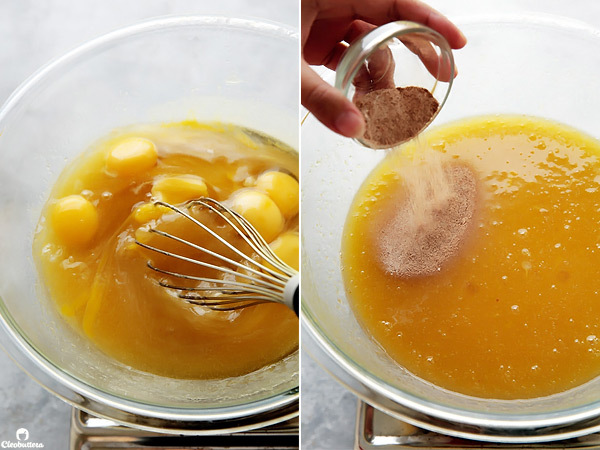 Continue with the rest of the batter until you have 11 layers of cake. If any of the layer’s edges look wonky, give it a trim using a pair of scissors. Then put these trimmings, along with your least attractive cake layer on a pan and toast them in the oven. Once cooled, grind them into fine crumbs in a food processor. Reserve those crumbs for decorating the cake. It’s ok…you could steal a taste; we’re human. Now that the layers are all done, time to move to the frosting. Now grab a can of dulce de leche, and if you don’t readily have it where you live (I don’t! 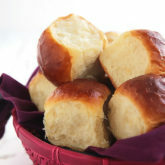 ), you can make your own with sweetened condensed milk, as per this post. Just know that if you do make your own, they take 4 hours to cook, so plan ahead and make it as far as a month in advance. Back to the frosting. Combine that yummy dulce de leche with salt, the reserved burnt honey and then stir in heavy whipping cream. Chill for 30 minutes (that’s the down time I was talking about earlier…so now’s the time to catch your breath). Phew! Now that 30 minutes have passed, you can whip the remaining heavy whipping cream until soft peaks. Then slowly drizzle in the cooled honey/dulce mixture. And whip until medium stiff peaks form. Now’s a good opportunity to steal a lick. So good right?! 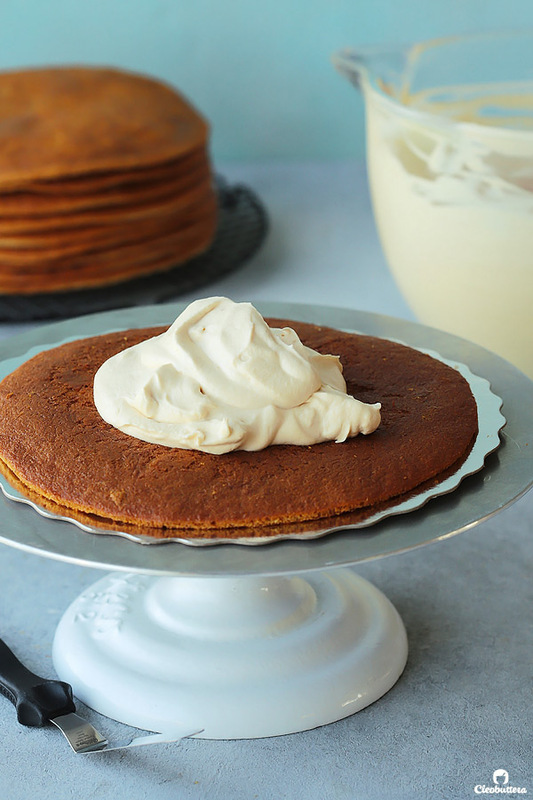 Spread a heaping cup of that amazing whipped frosting between each layer. It’s going to look like a lot, but trust me and go for it! Go for more than you think you need, because remember the cake will soak in some of it….so be generous. Now will you marvel at the beaut?! I know you’ll be tempted to leave the sides naked, but covering it up is essential in softening up all the layers. Remember those crumbs we had saved for a rainy day? Now’s the time to use them. So press them all over the sides, and if you want, over the top too. Can we get a YAY! here because ladies a gentlemen…mission accomplished. Not quite, but the rest of the work is the fridge’s duty, so you’re off the hook! Let the cake sleep in there for a day or two. Top with those cute Bumblebee decorations, if you fancy! 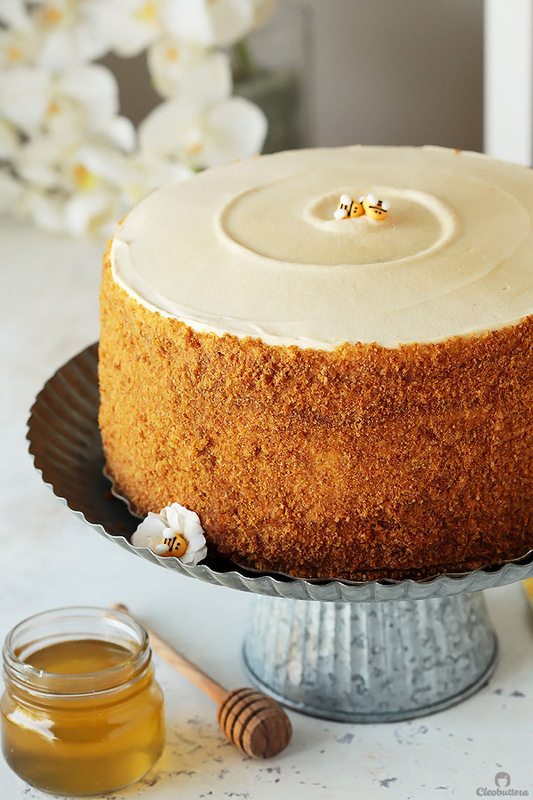 Now that’s a honey cake, any Queen Bee will approve of. While not difficult to make, this is a multi-step, highly involved cake that requires planning ahead. Please read through the instructions and the notes in the bottom of the recipe before starting. Note that the frosting calls for a can of Dulce De Leche, which is readily sold in some countries. If it's not available where you live, you can make your own with sweetened condensed milk. Just know that it takes 4 hours to cook, so plan ahead and make it as far as a month in advance. The finished cake, needs to chill overnight in the fridge before serving. Adjust oven rack to middle position and preheat oven to 180C/375F. Line 2 or 3 (or more) baking sheets with see-through silicon mats. On a large piece of paper, trace a circle around a 9-inch pie or cake pan and place the paper underneath one of the silicon mats. If you don't have silicon mats, trace the 9-inch circles directly onto 11 baking-sheet-size pieces of parchment paper. Place a piece of parchment tracing-side-down on a baking sheet. Set aside. Place 3/4 cup of honey in a 2-quart saucepan, and set over high heat. Bring to a simmer, then reduce the heat to medium. Cook the honey, stirring occasionally with a heat-proof spatula, until it the color darkens and turns from pale yellow to dark amber; about 3 minutes. Turn off the heat and carefully add 1/4 cup water. Allow the honey to sputter until it stops bubbling, then whisk to combine. Transfer to a heatproof measuring cup with a spout, and set aside. Fill a medium saucepan with 2 inches of water, and bring to a simmer. 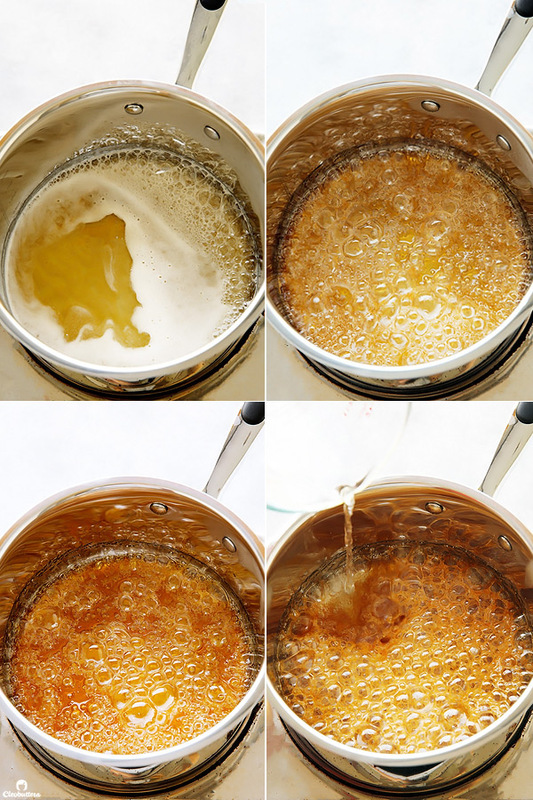 Combine 1/4 cup burned honey, 3/4 cup honey, sugar and butter in a large heat-proof bowl, and place over the pot of water, making sure the simmering water is not touching the bottom of the bowl. Crack eggs into a small bowl, and set aside. Stir together baking soda, salt and cinnamon in a separate small bowl. 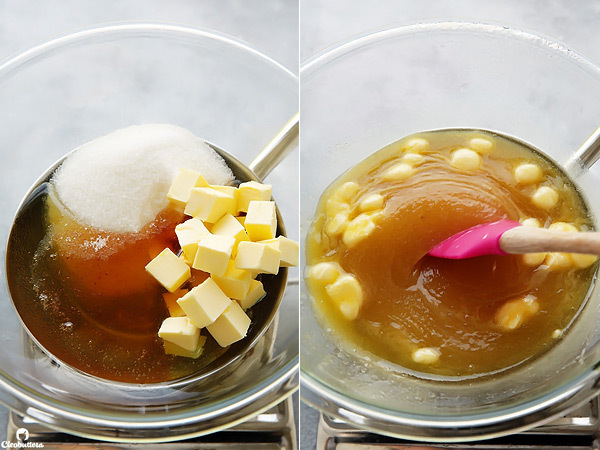 Gently stir the honey/butter mixture until the butter has melted, then whisk well to combine. Use your finger to test the temperature of the mixture. When it’s warm, add the eggs while whisking. 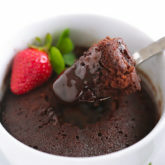 When the mixture returns to the same temperature, add the cinnamon mixture, and continue whisking for another 30 seconds. The batter will begin to foam and emit a curious odor. Remove the bowl from the heat, and allow it to cool until it’s warm. 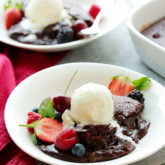 Place the flour in a fine-mesh sieve, and sift over the batter in three batches, whisking to incorporate the flour completely with each addition, until completely smooth. The batter will spread more easily when it’s warm, so place the bowl in a warm spot, such as atop the preheating oven or over the pan of simmering water (off heat). Spoon a heaping 1/3 cup of batter over the prepared silicon mat or parchment paper. Use an offset spatula to evenly spread the batter to the edges of the traced circle. Make sure that the entire circle is well covered, otherwise, add a little more batter in patchy areas and smooth out. 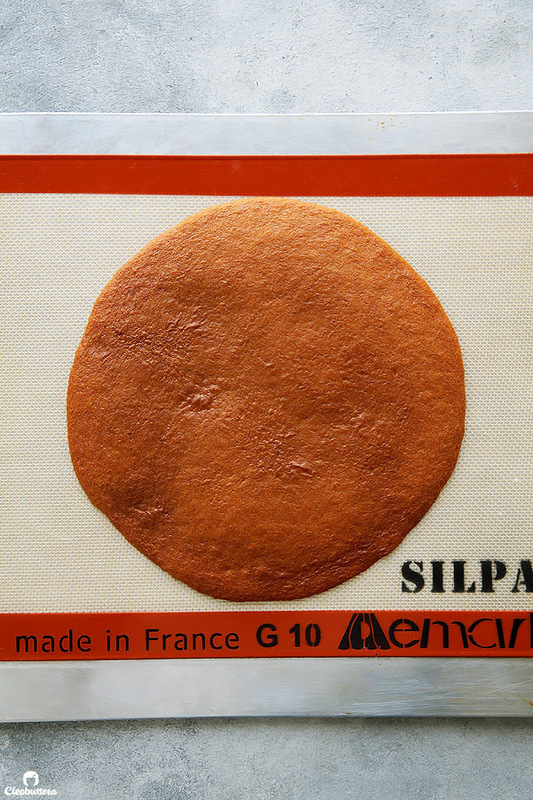 If using silicon mats, carefully slide the paper with the traced circle from underneath the silicon mat and place under another one. Repeat spooning and smoothing remaining batter until you’re out of baking sheets. Ultimately, you should end up with 11 layers. 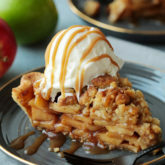 As you continue spreading the remaining batter on the baking sheets, bake as many layers at a time as possible, for 6 to 7 minutes, until the cake turns a deep caramel color, springs back at the touch and a toothpick inserted in the center comes out clean. Do not overbake! When each layer is done, slide the silicon mat or parchment off the baking sheet to prevent overbaking. If reusing baking sheets while they are still hot, reduce cooking time to 5 to 6 minutes. When the cake layers are cool enough to handle, examine them. If any spread outside the traced circles as they baked, use a sharp knife or pair of scissors to trim them. Don't throw away the trimmings. 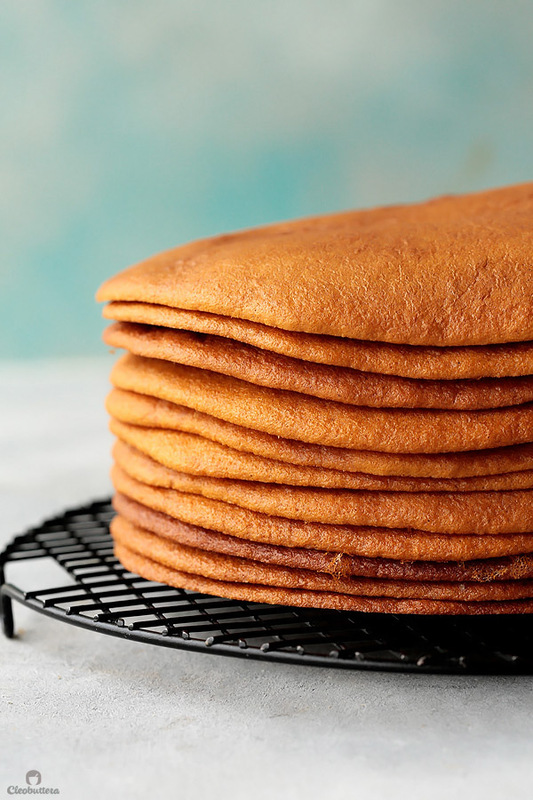 Before the cakes cool entirely, pull each one carefully from the silicon mat or parchment, then place back on the parchment or wire rack on a flat surface, and allow to cool completely. When all the layers are baked, reduce the oven temperature to 120C/250F, and return the least attractive layer (and trimmings) to a baking sheet, and place in the oven to toast until deep reddish brown and dry, about 15 minutes. Allow it to cool, then use a food processor to grind into fine crumbs. Cover and set aside. 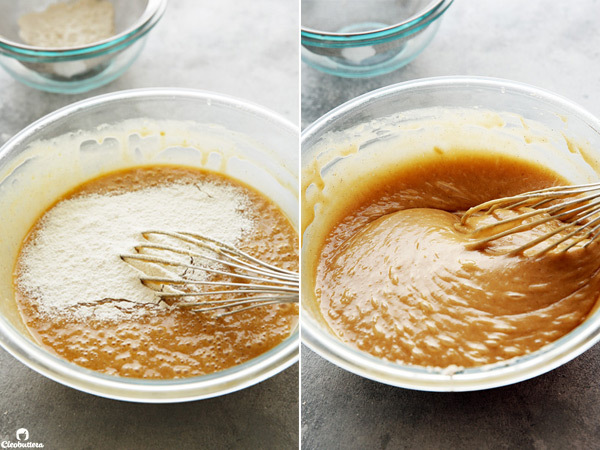 Place 1/2 cup burned honey, dulce de leche and 1/2 teaspoon fine salt into a medium bowl. 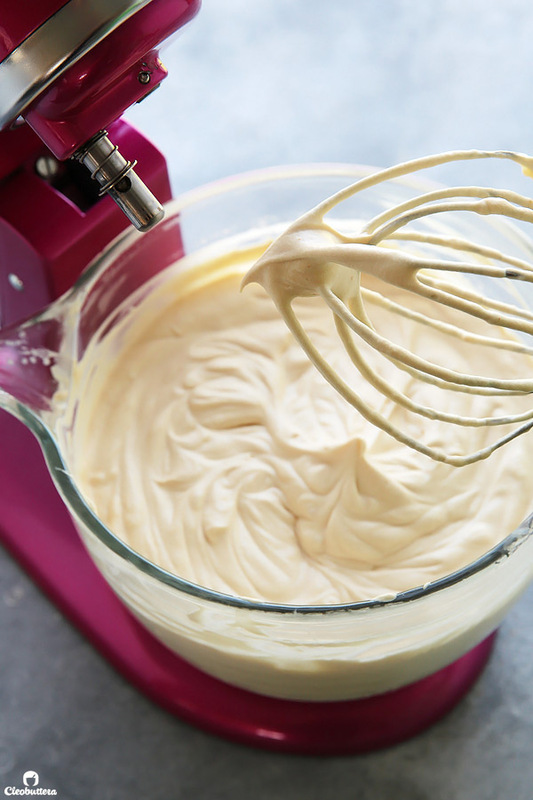 Whisk by hand until combined, then slowly pour in 3/4 cup cream and mix until homogeneous. Chill until completely cooled, about 30 minutes. Pour 4 cups heavy cream into the bowl (preferring chilled) of a stand mixer, with the whisk attachment. Whip at medium speed to soft peaks, about 6 minutes, then add honey mixture and whip to medium stiff peaks. 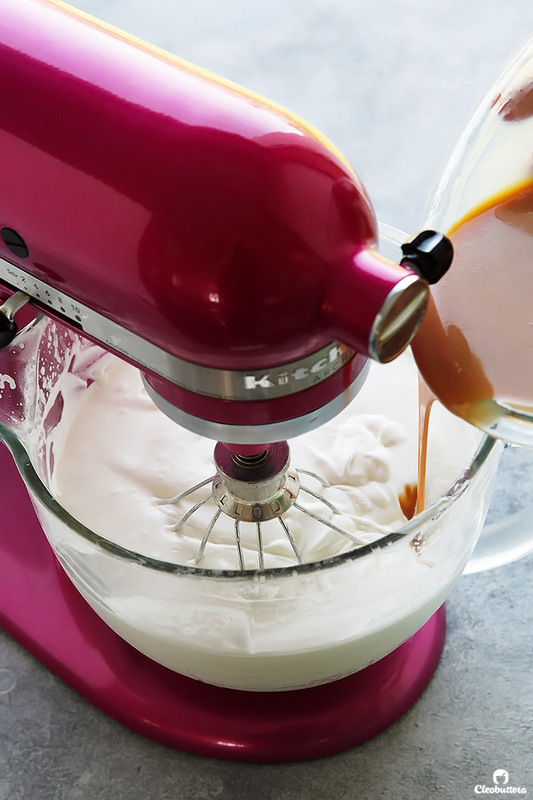 If your mixer holds less than 5 quarts, make frosting in 2 batches and then combine in a large bowl, or use a large bowl and a hand mixer. Assemble the cake on a 10-inch cardboard circle or flat serving plate. Place a cake layer in the center of the cardboard, then spoon a heaping cup of frosting onto the center. 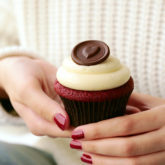 Use an offset spatula to spread the frosting evenly, leaving a 1/4-inch ring around the edge. 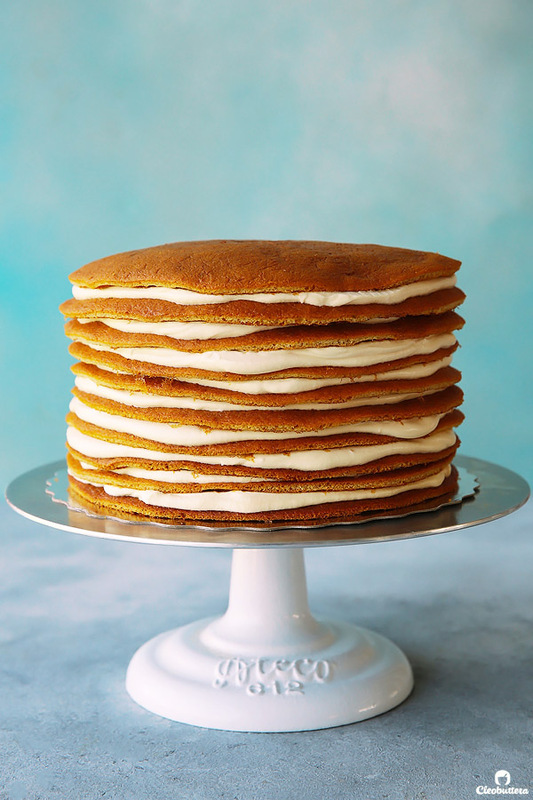 Continue with alternating layers of cake and frosting, ending the last layer with frosting. 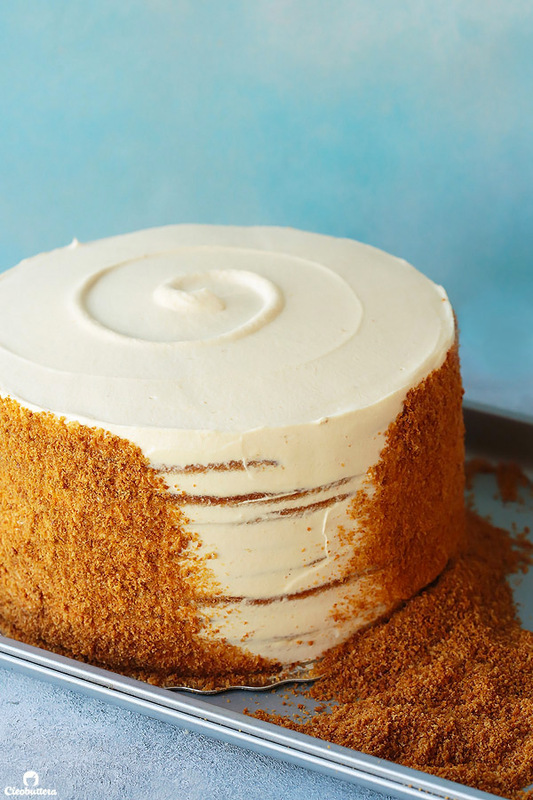 Use any leftover frosting to smooth out the sides of the cake, but don’t worry if the edges of some cake layers poke through the frosting; they're gonna be covered up anyway. 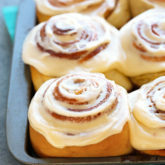 You should use up all the frosting. 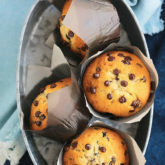 Place the frosted cake on a rimmed baking sheet and use your hands to press the sides with the reserved toasted cake crumbs. You could cover the top too if you prefer. Chill the cake in the fridge overnight to give the frosting time to meld into the cake layers and soften them. Slice into thin wedges and serve cold or at cool room temperature. 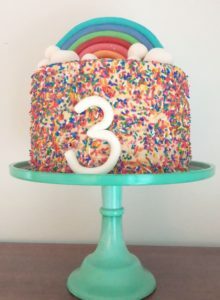 Cake can be made up to two days in advance. Refrigerate leftovers for up to 3 days. Original recipe calls for wildflower honey, which has more floral notes. However, I used regular, mainstream honey, because I couldn't find it, and still ended up with stellar results. You can divide the work required to make this cake over the course of several days. 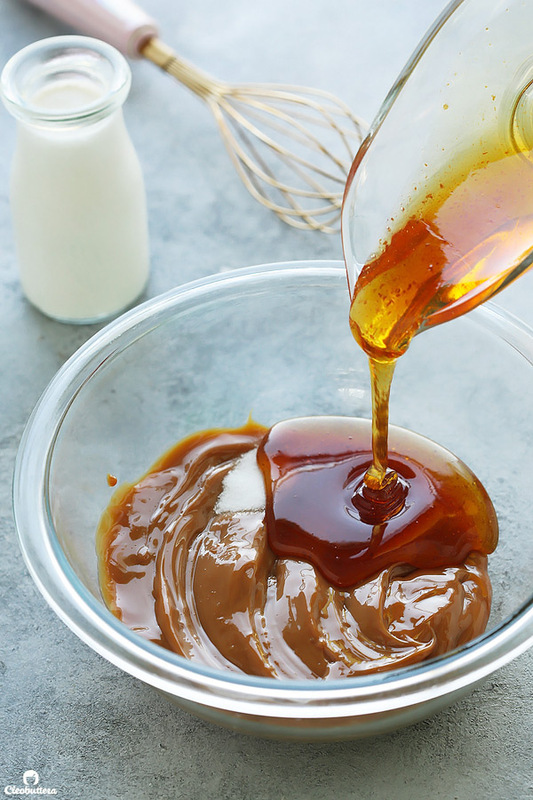 If you're making your own dulce de leche, you can prepare it up to a month in advance. The cake layers can be baked and frozen for several weeks, then thawed when ready to use. Just be sure to cool the layers first, individually wrap each layer with plastic wrap, then store in freezer zipper lock bags in the freezer. Thaw completely before using. The finished, frosted cake can be made up to 2 days in advance. Here's a link for those 'Bumblebee' decoration on my cake. Recipe adapted from Treats SF, who adapted it from New York Times. take a bite, then sigh…..
Hahahaaaa Shabna hope my words weren’t torturing 😄 Sometimes my words makes seem like I have a romantic relationship with food…which I think I do, but I’m happy a lot of people can relate. do we get a video of this ??? Can I half the recipe and make it?. I baked the layers last night. Assembled it early this morning. I cut the recipe in half to make a 6 inch cake. I just had to try it after scrolling through foodgawker. It made a wonderful dessert for our wedding anniversary today. The recipe was perfect! I did see you repeated the assemble process on #1 and #3 but it wasn’t enough to make it confusing. I know we should have waited 24 hours before eating but I figured since it was small enough and I did it early in the day it would be ok. Look forward to eating it the way it was intended to be eaten tomorrow. Never heard of Russian Honey cake until yesterday. It is a new favorite for my boys. Thanks! Oh and thanks for the heads up on the instructions’ typo. And I thought I proofread multiple times already 😂Sorry for the confusion. I’ll fix it once I get hold of my laptop, as I’m currently traveling & didn’t bring it along. There you go again, never failing to amaze your readers, I just don’t how you manage to make everything look so elegant, extremely mouthwatering, simple, true inspiration!! Ofcourse I remember you Sobiya! I’m so happy to hear that you had a great time in Egypt and that you had a chance to visit some of my suggestions. 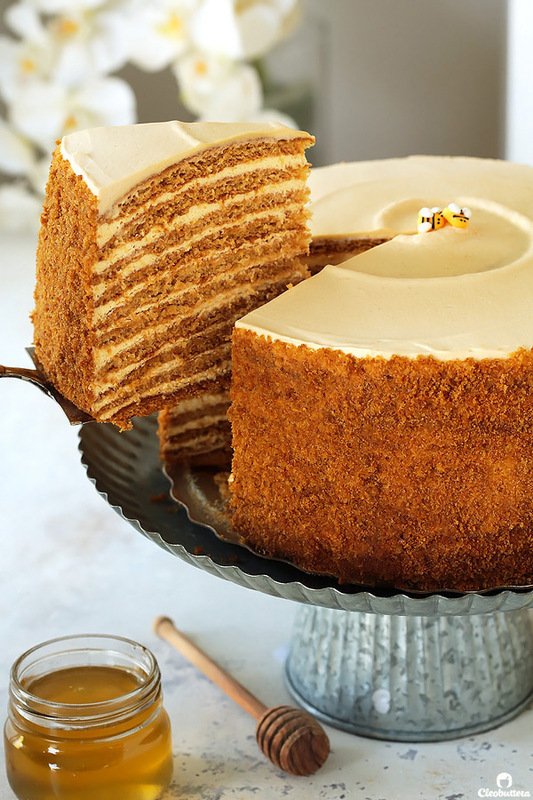 I really hope you and your daughter love this honey cake…it’s really something. Upside down date cake would be a nice change from its pineapple cousin. Hope you enjoy that one too. Lol about the thriller! I’m taking that as a compliment 😄 Thank you! That’s one crazy cake!!! I have always dreamed of trying a Russian honey cake from the peoples insane reviews about how good it is. But honestly this one is beyond ah-maaazing. The flavors are so complex. It just deepens everytime you take a new bite. 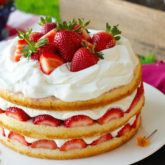 It’s a must try cake. I really gotta be honest while doing the cake i was very skeptical from the smell that I was going to throw away the whole batter. And then the steps made me feel okay that is to much for just a cake. But after a week from eating a piece everyday. And after two kilos I gained in a week I am very glad to tell you that I have forgotten everything and I am so willing to make it again and again and again. I made it to celebrate hubby’s birthday and it was a really special one. The cake is a mixture of a lotus biscuit flavor and a lot of other things one won’t find words to describe. So THANQ for such a fool-proof recipe as usual. I can’t wait to try the pie and tell u how it works. Hi – i got caramelised sweetened condensed milk. Can i use that instead of the Dulce De Leche? Hi that is one delicious looking cake…since u said I can make the cake in advance…can the burnt honey be stored as well for the frosting? Thank you so much Nimmi! Sure! I have prepared the burnt honey 3 days in advance with great results. I’mm honestly unsure, how far it can be made in advance though. I don’t know why my batter was super thick! The cake seems like it’s going to come out great but I couldn’t make 10 or 11 layers. What did I do wrong? Why is my batter so thick. I couldn’t spread it at all. Hi Meri! Do you think the batter got cold as you were working with it? I always keep my batter bowl over the waterbath (off the stove) to keep it warm and spreadable. Also may I ask how you measured the flour? I always recommend measuring by weight because its much more accurate. So if you’ve measured by cups, then there might be a chance that the flour was over-measured, thus making the batter too thick. I made this cake today for Christmas Eve dinner and ended up making it twice– The first time, I realized I completely forgot the sugar!! Anyway, all of the running around the kitchen was worth it because this cake is absolutely massive. Super tall and weighs a ton. Could honestly probably feed an army. And every single part is delicious! Great recipe. Oh no Amy! So sorry you had to do it twice; I can imagine the hassle you had to go through. I’m so glad to hear that it was worth it in the end and graced the table of your Christmas Eve dinner. Have a great one and Happy Holidays to you and your family. I made it and it came out amaaaazing. When i first read the recipe i thought i’d never do so many steps to make a cake. Now i‘m ready to repeat it a lot. I halved the recipe, made it into an 8 layer 7 inch cake. I burnt the layer that was supposed to be toasted so i replaced it with lotus cookie crumbs, it paired really well. 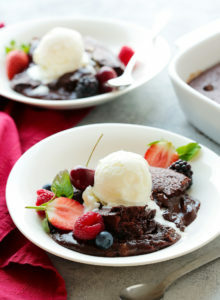 Thank you so much for this recipe, everyone was really amazed even the hard to please eaters. Hahahaaa Mariam I feel you…the recipe looks more like a reader’s manual; it’s scary to look at 😂 I’m so glad you summoned up the courage to make it, so you can see and taste how it’s sooooo worth it. So happy you loved it so much and that it was such a hit! And great call on those Lotus crumbs on the sides…YUM! I made this over the weekend and ate some today and wow, it’s delicious!! No kidding on it being a project, but it was different than anything I’ve made before and lots of fun. The recipe was very well written and easy to follow. That cake looks delicious and super cute with the bees in the middle. Thank you so much Megan! I’m so tickled by the fact that you noticed the cuteness of the bees. It’s the “little things” right? Made this and no hesitation at all to give 5 stars! Made a 1×4 layer cake and a 1x6layer cake instead of one huge cake. Everyone who tried it has loved it. A shame it’s so time consuming to make as that will make it a more rare treat in this house – but all the more special for that! I attempted this recipe last weekend and made too many mistakes. It was an epic fail! My layers were too thick and I over-whipped the frosting and it separated beyond hope. So I was very determined to try again and I am so happy I did. This is an amazing recipe. A lot of work but the result is so satisfying. To help me out this time I used a scale and measured out the ingredients by weight. I even measured each cake layer to about 4.1 ounces per layer which almost used every drop. I ended up with 12 layers and baked the 12th extra crispy to grind up for the crumbs. And using a chilled bowl, as suggested, for the frosting helped a lot, too. Thank you for the detailed photos! I couldn’t be happier to hear that your second attempt was such a success! Sorry your first one was a disappointment, but if anything…its what lead you to nail the second time around so well. Thank you so much for taking the time to let us know of your feedback. Really love reading about the different experiences. I have a passion for baking as well. Just came across your blog. Excited to try your recipes. 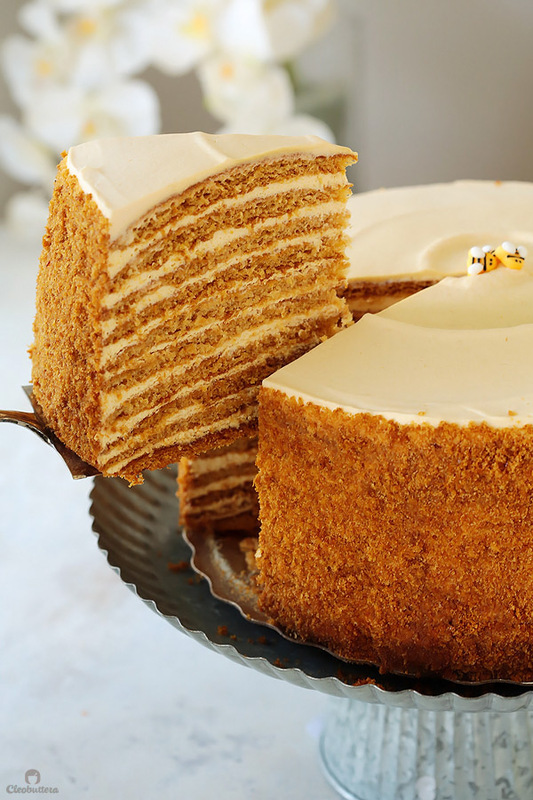 Being Russian myself, never have I heard that Russian Honey Cake is made with buckwheat flour or walnuts 🤨 Walnuts are usually added to another Russian popular Cake Napoleon, but not Honey cake. I’m so glad you stopped by Lana! I hope this cake does the one you have in Russia justice. Thank you so much for clarifying the thing about buckwheat flour and walnuts…it’s so reassuring to hear it from a trusted source. 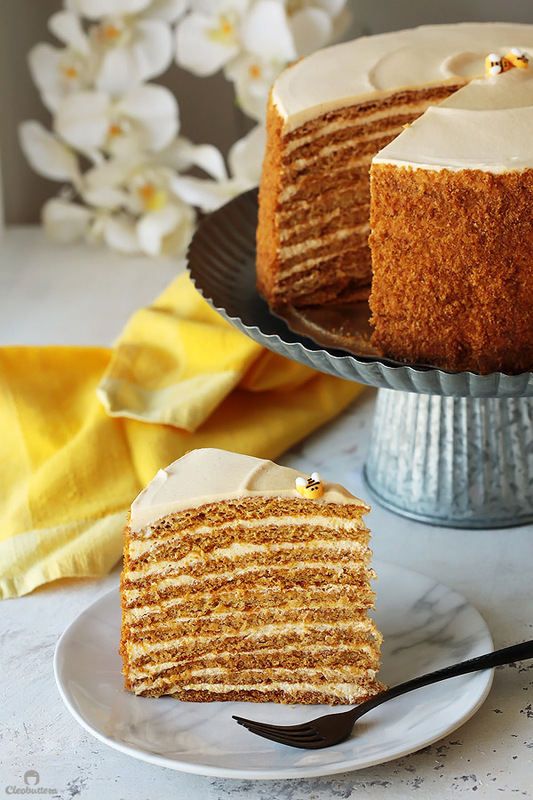 So glad I stumbled, across your most amazing Russian honey cake on Pinterest!, have seen some other recipes before, but there was just something about your recipe that grabbed my attention…oh my word what an amazing cake, I certainly have baked many a cake in my lifetime, but this is so exceptional and the flavour beyond description!!! I baked it on Saturday, although I think it would be challenging for the average baker, I loved baking it and enjoyed the challenge. The flavour was really at it best today, as it intensified over the past two days. I love baking and pastry, I am the patisserie lecturer at a cookery school in Paarl, Cape Town, South Africa. Hi Pierre! It’s so wonderful to hear that you loved this cake so much. It really is something and I’m so happy you agree. All thanks goes to pastry chef, Michelle Polzine, the creator of this recipe, whose fruit of her labor is being enjoyed by all of us. Thank you so much for your amazing feedback and lovely comment. 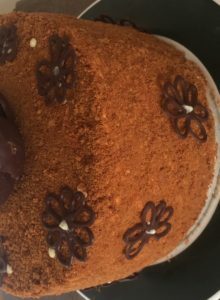 I have been searching for a honey cake recipe since I first tasted it in a tea shop in Prague over 15 years ago! I have been dreaming of it ever since! None of the recipes I’ve found are this detailed or highly reviewed. I had actually stopped searching and this just appeared in front of me this morning. I think it’s a sign I need to make it and I’m so excited!! Thank you so much for the photos and descriptions! You have made my day! It’s my pleasure Dawn! I really hope this one ends your search and turns out everything you’re hoping for and more. I made this last weekend. I swapped the flour for gluten free flour with a little xanthan gum as needed. 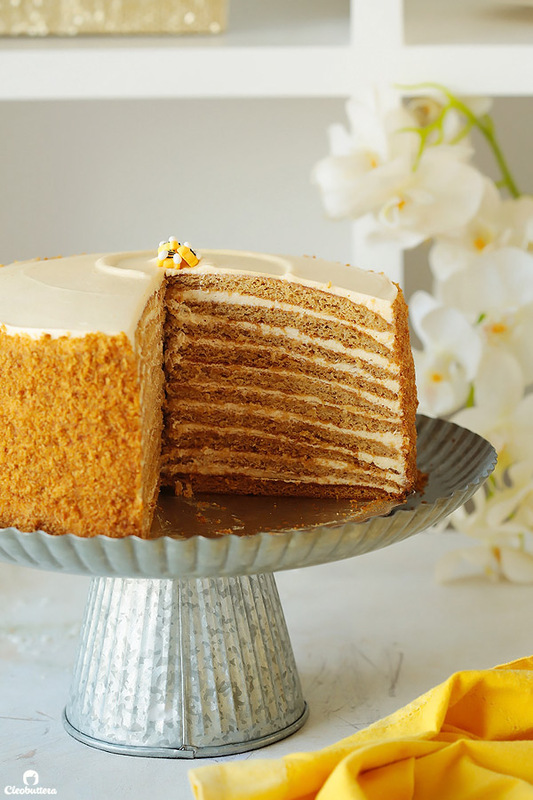 Having tried a few Russian honey cake recipes, this is by far and away the most delicious ever. Silence around the table. Will most definitely make again. Thank you. Natasha your cake looks wonderful! It’s so great to hear that it tasted as great as it looked. Really happy that it worked just as well with gluten free flour; I’m sure that would be a relief for so many people reading this. 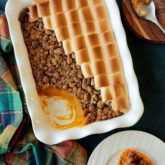 This recipe sounds very good and I intend to try it, but with regard to your comment about eliminating the need for sour cream by caramelizing the honey, when I had this in Russia, it was never made with sour cream. Russians don’t use sour cream; they use smetana, which is always translated as “sour cream”, but that’s not what it is at all. It isn’t as thick or as sour. In fact, it’s much more like crème fraîche. 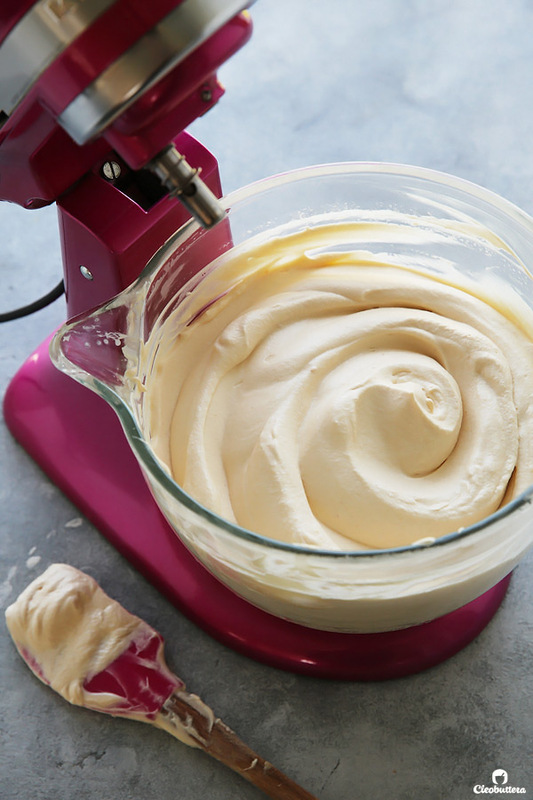 When I make this, I intend to use crème fraîche, which whips up nicely, rather than heavy cream, which means I probably won’t burn my honey for the frosting. 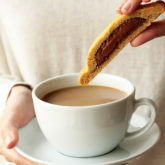 Or maybe I will; dulce de leche sounds like an interesting addition, but the sweetness might need to be countered with some acidity.